Buying a used car is a great way to get more value for your dollar, and getting a car with a certified pre-owned warranty adds some extra protection. But some dealers aren’t always honest when making claims about their “certified” cars. Here are a couple of instances that should raise some flags. The first thing to remember is that the term “certified” can mean a few different things. When most folks talk about certified pre-owned often called CPO for short, they are referencing vehicles that, according to the manufacturer, meet a certain standard and qualify for an extension of the new car warranty. I got a recent email from a reader who was helping his son shop for a pre-owned Volkswagen. The buyer wanted a certified car but found what he thought was a good example at a Chevrolet dealer. This is suspicious on two levels. First, a car can only be “manufacturer certified” if it is sold by a dealership within that brand. In this case, only a Volkswagen dealer is authorized to certify and sell a “certified pre-owned” car that has a factory-backed warranty extension. What the dealer may be doing, in this case, is attempting to sell an aftermarket warranty that would act like a VW CPO plan – which brings me to the second red flag of this conversation, the cost. Only $500 to $600 seems suspiciously cheap for a warranty extension. So either the dealer is offering them the warranty deal of the century, or attempting to charge the buyer an extra few hundred bucks without having anything to show for it. The buyer should request the details of the “warranty” and the coverage that it includes before signing anything. Sometimes dealers are selling legitimate manufacturer certified pre-owned cars, but aren’t exactly forthcoming as to how those cars qualified for such coverage. I had a client in the Chicago area shopping for a CPO Infiniti Q40 sedan. His original choice was sold before he arrived, but the dealer had a few other options at similar price points. He noticed that one of the cars did have an accident posted on the CarFax, thought the report did indicate the damage was minor. Even still, he wanted to know more about the car. He requested the inspection report from the dealership, to which their response was, “oh, we don’t show people that.” That was enough to kill the deal right there, and have him go elsewhere. The other Infiniti dealer across town had a similar vehicle, and was more than willing to show the condition of the car and what work was done to it. 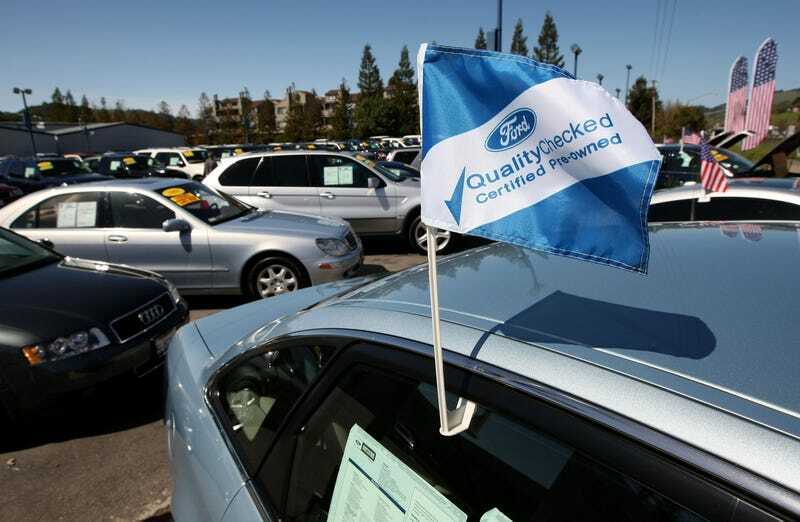 While most certified pre-owned cars are in good condition, shady dealerships have been known to cut corners and slap that “CPO” stamp on a vehicle that may not have qualified under the manufacturer standards. If a buyer has some doubts about the condition of a used car, even if it comes with a CPO warranty, it’s always wise to get that car inspected by an independent shop.